A few years ago, we were younger and more naive woodfiring. 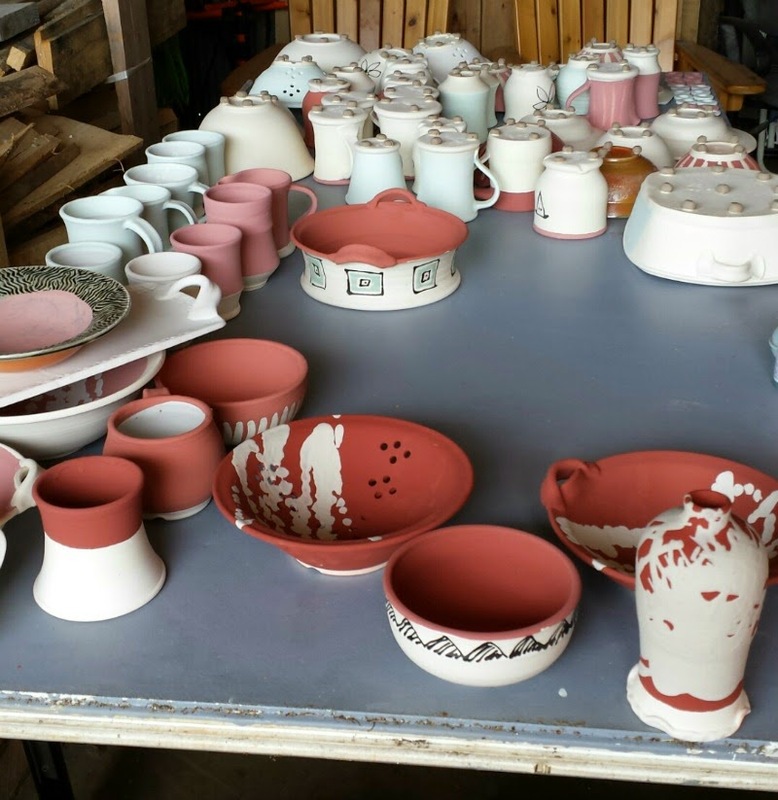 We fired the kiln over the weekend that followed the 4th of July. 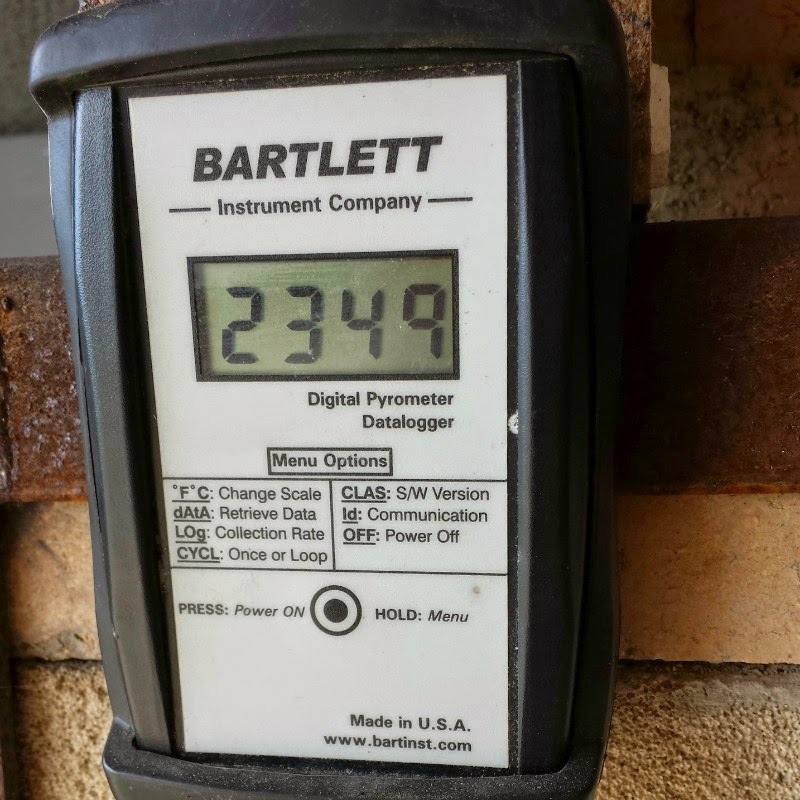 It ended up being a very hot, humid weekend with no breeze made so much worse by the fact that we were standing in close proximity to the kiln as it reached it’s peak temp the same time the day reached it’s peak temp. After that firing we vowed to never fire in July again. 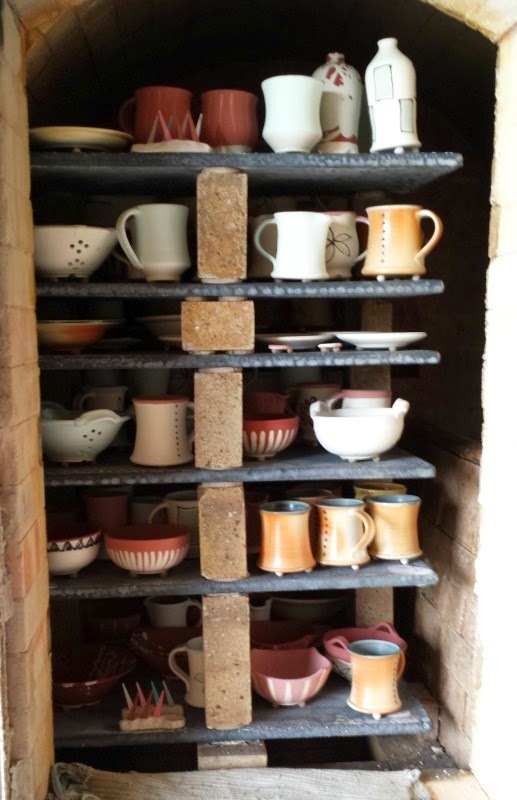 Now a few years down the road, we are older and wiser in our woodfiring practices. We’ve adjusted our firing schedule so we encounter the top temp of the kiln through the night to take advantage of the cooler air temps. A large barn fan has become a wonderful breeze in the kiln shed on days when nature isn’t providing one. And by keeping our firings to primarily spring and fall of the year we avoid the super cold of Minnesota winters and the hot, humid days of Minnesota summers. For the most part the firing went well. There were some unusual happenings but overall, I feel really good about the anticipated results. We experienced torrential rains, then sunshine and humidity, and back to the rains again through the entire firing. We lost power for approximately 3 hours during the night and had to use a collection of solar lights from the garden as the only light (other than the firebox of course) in the kiln shed. The following morning was beautiful. And we finished just before another storm blew in to start the days downpour/sunshine rotation all over again. Can’t wait to unload and see how everything looks. Sounds amazing none the less. Hope the unload is fabulous! I just finished a wood firing in June in Georgia. Yup, it was HOT but if you just drink plenty of fluids and have a good fan you know it'll be okay. I hope your pots turn out great.